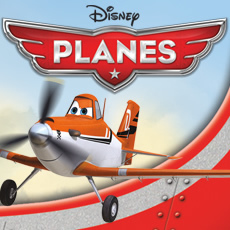 Take flight with your favourite characters from the hit Disney Planes. Our selection of removable and repositionable wall stickers are great for any space. Make sure your pilot has a smooth take-off as they join the Wings Across the World race with these officially licensed Planes wall stickers. Decorating with your favourite Disney Planes characters is as easy as 1-2-3! Simply peel each sticker or wall decal from the sheet and apply it to any wall or smooth surface of your choice. The stickers can be removed and re-applied over and over again, all without damaging your walls or leaving behind any sticky residue.